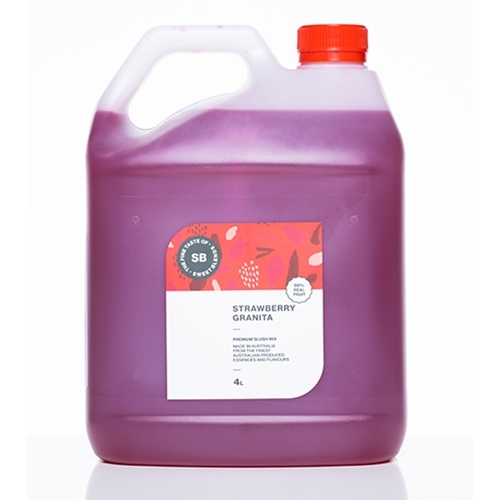 Our Strawberry Premium 99% fruit Slush mix is one of our most popular flavours in our 99% fruit range. Given that it is 99% fruit it is also healthy for you as well as great tasting. Our 99% fruit slushie range is great tasting as well as good for you. Mix 1 Part Conentrate with 5 Parts Water. 1 bottle of concentrate will make 12 litres of slush when mixed with water.